Imagine jumping into clear blue waters, an oxygen tank on your back, flippers on your feet, wetsuit and mask in place. An incredible underwater world awaits you. 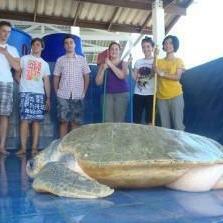 This can become a reality when you join our volunteer Conservation programme in Thailand for teenagers. 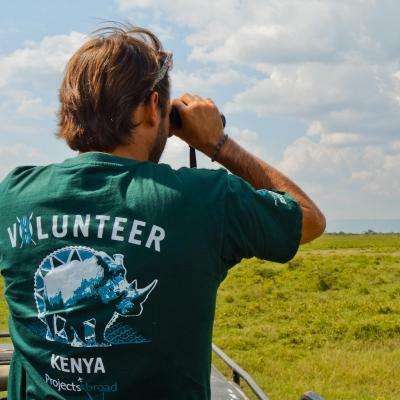 You’ll work with dedicated professional conservationists and a group of volunteers your own age. You’ll get a globally recognised PADI diving qualification included in the price. You’ll be part of raising awareness about environmental issues affecting Thailand and help plant mangroves. This incredible opportunity will give you the chance to learn about and be a part of important conservation work. It will open your mind and help improve your CV. 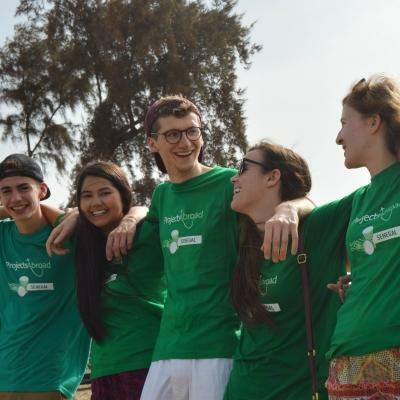 Best of all, you’ll explore Thailand’s culture and cuisine, and build lasting friendships with other teenagers from all around the world. 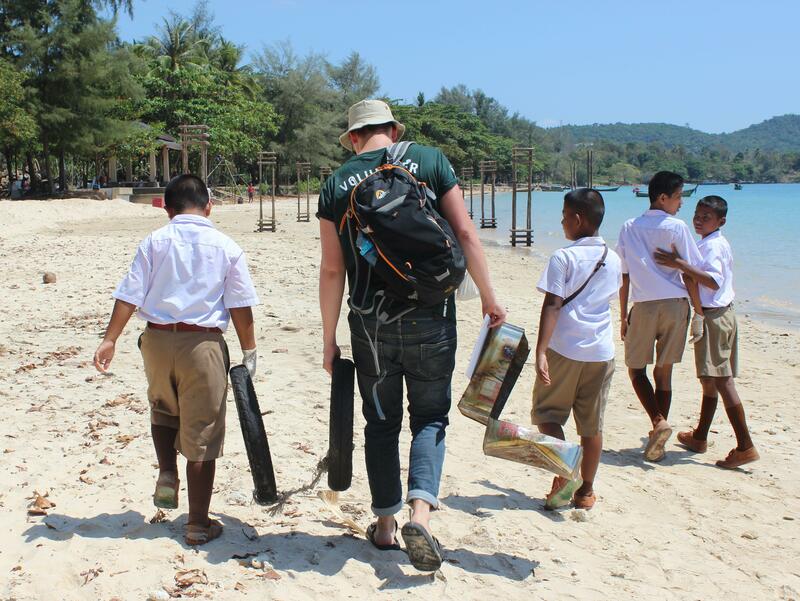 Is Conservation volunteering in Thailand for high school students right for me? This project is perfect if you are looking to do something different during the summer holiday. It will also suit you if you’re interested in pursuing a career in conservation. This project is specifically designed for teenagers, and we have a set itinerary in place and extra staff support available. You’ll spend your short volunteering trip with passionate conservation staff, who actively protect and help the local environment everyday! The best part? You get to tap into their knowledge and experience, using it to learn more about conservation initiatives in Southeast Asia. You don’t need experience for this project. A willingness to help, learn and explore is all we ask of you! Within a week, you’ll receive your PADI Open Water course qualification, so you can dive and help with underwater work. Our diving instructors will be with you throughout the training and during each dive. What will I do as a Marine Conservation volunteer? You’ll start this project by learning to scuba dive! You get a PADI Open Water course qualification included in the price, and training from our qualified instructors. You’ll learn underwater sign language, correct breathing techniques, how to clear your mask and the importance of equalizing pressure. Once these skills are mastered, your conservation work begins! Coral reefs are known to house the largest diversity of marine life. You’ll work with staff to gather data regarding general reef health. As you gently drift past coral and shoals of fish, you will record what you see and add your findings to our database. The information you gather is shared with national parks, helping meet long-term goals. You and your fellow volunteers will walk along beach coastlines, collecting and disposing of rubbish that is found. Data from these clean-ups is then shared with the local authorities to show them why we need regular and proper waste management in the area. Mangrove forests are among the most productive and biodiverse wetlands on earth. However, these coastal forests are among the most threatened habitats. 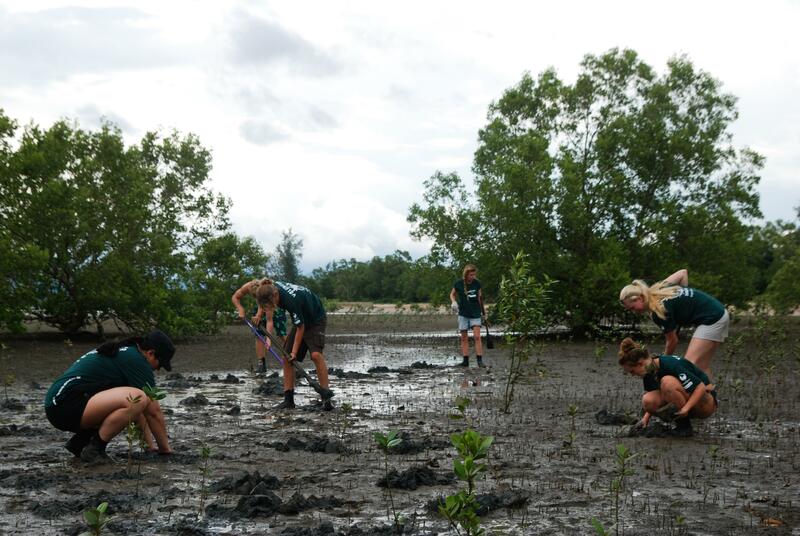 Each mangrove you plant in the mud or move to a better area, helps the mangrove forests survive. Give talks or get creative with puppet shows to teach local children and adults about the importance of proper waste management and protecting the environment. Your group may also be asked to create posters and signs to encourage recycling. We work with a number of conservation organisations in Thailand. One of our key partners is Project AWARE, an ocean loving community that seeks to protect oceans around the world. We also have qualified diving instructors on site. They will supervise all of your work and organise your three-day PADI Open Water diving course. Your short-term project will be spent with a group of High School Special volunteers in Ao Nang and in the Andaman Sea when you’re diving. You’ll also visit the Phuket Marine Biological Centre for Turtle Rehabilitation, and participate in a community outreach. Weekends are jam-packed with cultural and adventure activities. You’ll stop over at the sacred Buddhist Tiger Cave Temple. This unique temple is famous for its 1,237 stairs, which lead to a golden Buddha statue on the mountain summit. Looking for some relaxation? 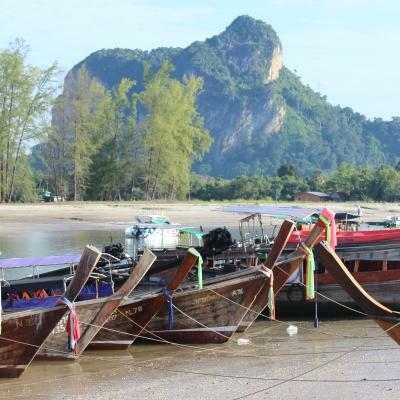 A day over the weekend is set aside for exploring Ao Nang and its sandy beaches. We started our Diving & Marine Conservation Project in Thailand in 2005 in response to threatened marine life populations. We decided to bring teens on board to contribute to this work. 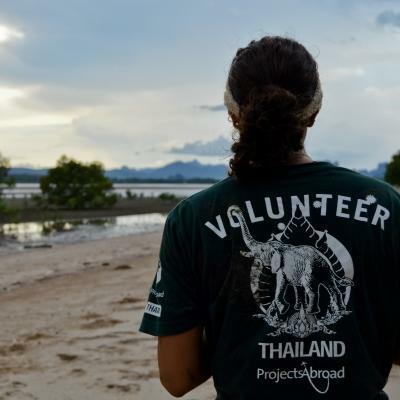 Using your energy and working as a team, you can make a difference to conservation efforts off the coast of Krabi. Through survey dives, you will add vital data to our databases, which we share with local NGOs, the national park, and the local government. 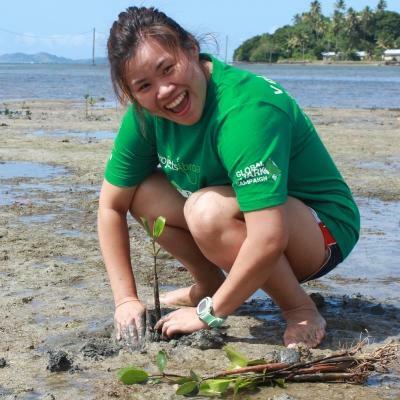 As a teenage Conservation volunteer, you are also working to protect mangrove forests as part of ongoing efforts in the area. We have mangrove nurseries where you will plant and nurture mangrove seedlings, and regularly replant areas where mangroves have been cleared or killed. Through regular community outreach activities with locals, you help us ensure that people are aware of the important conservation issues that affect both them and their environment. In 2017 alone, High School Special volunteers in Thailand planted 3060 mangroves. This amazing achievement will help not only the local marine life, but also the people who directly and indirectly benefit from a healthy mangrove system. You'll share accommodation with other Projects Abroad volunteers during your stay in Ao Nang. This is a great way to get to know your fellow volunteers, share experiences, and explore your surroundings in your time together.